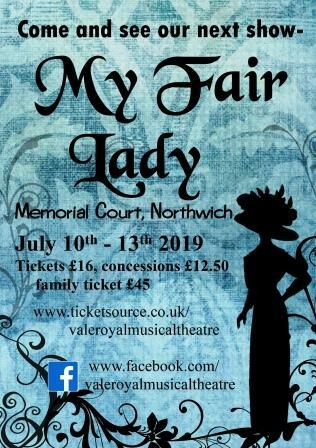 My Fair Lady is an award winning musical based on the 1913 stage play Pygmalion by George Bernard Shaw. Phonetics professor Henry Higgins is so sure of his abilities that he takes it upon himself to transform a Cockney working-class girl into someone who can pass for a cultured member of high society. His subject turns out to be the lovely Eliza Doolittle, who agrees to speech lessons to improve her job prospects. A musical for everybody with many well known songs such as 'Wouldn't It Be Loverly? ', 'I Could Have Danced All Night' and 'Get Me to the Church on Time'. Join us and be transported to a bygone age for an evening of music, dance and maybe just a little bit of romance.